Wow, here we are in November. The funny part is, it’s almost like I’m still in New Zealand playing during the winters because it seems that softball never stops. There’s no such thing as an offseason anymore. I’m not sure what percentage of people take the winters off but it’s not many. Now is the time when coaches are reading the internet for new game plans and are recruiting players. Pitchers are throwing and hitters are swinging. If you’re lucky enough to find an indoor facility to use, you’re ahead of the curve. This is also the time of year that pitchers begin working on things for the next season. High School or summer, winter gives them the opportunity to work on new pitches, new techniques or to just perfect their current mechanics. Assuming they aren’t playing multiple sports, there’s no limit on how much pitching someone could do during the winter! 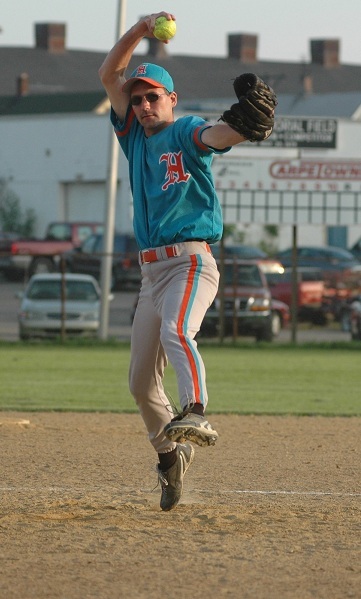 Thinking back to my younger days before I played year round (spending winters in New Zealand or Australia) I would pitch about every day in the YMCA. My gym bag included masking tape that I’d tape a strike zone on a wall and throw for as long as I could. Or until a group of basketball players would throw me out of the gym, whichever came first. So, how much is too much when it comes to pitching? Great question. And I’m asked this a lot. Sadly, this isn’t like an answer about pitching mechanics where there is ‘cut and dry’ right or wrong. There’s a lot of varibles to consider. My general rule of thumb that I tell people; as long as they’re doing it correctly and enjoying it, where’s the harm? If they’re doing it correctly, there’s little chance of injury. If they’re having fun then it makes them happy, right? I mean, I have said it before and it’s worth repeating: THE WORST LINE EVER CREATED WAS “Practice makes perfect”. It doesn’t. Practice makes permanent. Practicing something that is incorrect isn’t going to make them perfect, is it? I’ve discovered something since opening my pitching school and doing clinics: pitching is almost like politics. There are 2 different Political parties that dominate the scene. Here in the USA, it’s Republicans and Democrates. In New Zealand it’s National and Labour. Almost everyone falls into one of these 2 ideological ways of thinking. Sure, there are some independants out there but, when’s the last time an Independant won the presidency? Softball pitching is sort of similar on almost any topic. Take the Riseball for example. 1/2 of the population doesn’t believe it actually goes up, they think it’s just an angled pitch. The other 1/2 believes it does jump and move. And it’s funny how the 1/2 that does believe it are those that actually pitch or play fastpitch at a level where the ball will do many things. The first half will say they want to see it being filmed to believe it. The other half will say… “just play the game, you’ll see for yourself”. Anyway, these 2 sides are at war on a lot of topics regarding pitching. Obviously, being a pitcher and playing in World Championships, I would like to think I have some basis for my opinions and beliefs. It doesn’t surprise me that the other side thinks/feels a certain way, they haven’t seen it! The reality is, because many people are being taught incorrectly from the start, there are so few genuine pitchers with riseballs. While that sounds like an elitest statement, it’s reality. That’s a hard pill for people to swallow… that there is right and wrong in pitching. There’s 1000 ways to do things wrong and very few ways to do it right. A close second to the riseball debate is the follow through. But, oddly enough, the 2 are tied together. I mean, pitching is a lot like golf. Every movement effects the rest of the swing. So the follow through has to be right or else something else went wrong in the motion. One of the first things I tell people when I get a new student is, we’re going to take how we throw overhand and turn it upside down. Afterall, softball pitching and baseball pitching aren’t entirely different. Each needs the arms and legs to work together and move correctly. We need our elbows to be of use and not locked (which is commonly taught today also). Legs, of course, are the most important part. One of the misconceptions today is the fielding postion that pitchers are taught to get into. Again, this ties in with incorrect pitching motions being taught today: how the pitcher has to throw that ball and IMMEDIATELY be in the fielding postion. In order for this to happen, the pitcher is usually closing their hips much too soon. They are almost bringing their hip and hand through at the same time, I’m not sure there could be anything more wrong than this. Again, using the premise of how we throw overhand, does the arm and leg come through together? No. The leg doesn’t come around until the arm has already snapped. Softball should be the same thing. If the hand and hip are coming through together or the hip comes through too soon, this means the pitcher is pitching AROUND the hip, not through it. Think about something… assume your pitcher is right handed. Does she miss inside on righthanded batters a lot? This is probably due to bringing the hand AROUND the hips, not THROUGH the hips. This is one of the most common problems that pitchers are taught today. And, when we look at photos of most of the top pitchers, we can clearly see their hand coming past their hips BEFORE they are closed. There are also many pitching coaches who don’t believe in “closing” the hips at all. They believe in staying open all the way through the motion. This eliminates the power from the hips, which is a big mistake! In my instructional DVD, I talk extensively about getting the hips open until the hand passes through. And when I say open, I don’t mean completely sideways. The hips have already started to rotate, the hand comes through, THEN the hips finish closing. different way. Like anything, as it becomes more natural to them they will be able to do it correctly like second nature. The same way the pitching hand won’t touch the opposite shoulder, it’ll just have a relaxed finish after the snap. We aren’t changing anything, we’re just adapting to our comfort level in the mechanics. Is it still winter? I’m ready to play ball again.